Machine Learning Systems: Designs that scale is an example-rich guide that teaches you how to implement reactive design solutions in your machine learning systems to make them as reliable as a well-built web app. If you're building machine learning models to be used on a small scale, you don't need this book. But if you're a developer building a production-grade ML application that needs quick response times, reliability, and good user experience, this is the book for you. It collects principles and practices of machine learning systems that are dramatically easier to run and maintain, and that are reliably better for users. Machine Learning Systems: Designs that scale teaches you to design and implement production-ready ML systems. You'll learn the principles of reactive design as you build pipelines with Spark, create highly scalable services with Akka, and use powerful machine learning libraries like MLib on massive datasets. The examples use the Scala language, but the same ideas and tools work in Java, as well. Readers need intermediate skills in Java or Scala. No prior machine learning experience is assumed. 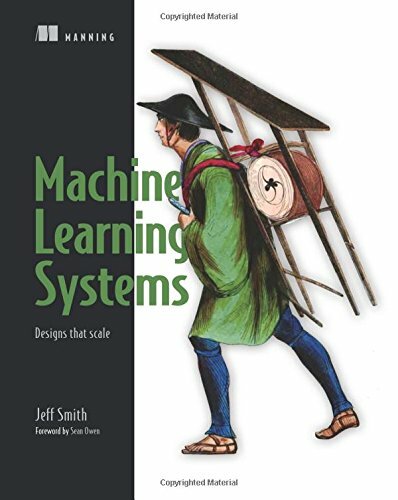 Jeff Smith builds powerful machine learning systems. For the past decade, he has been working on building data science applications, teams, and companies as part of various teams in New York, San Francisco, and Hong Kong. He blogs (https: //medium.com/@jeffksmithjr), tweets (@jeffksmithjr), and speaks (www.jeffsmith.tech/speaking) about various aspects of building real-world machine learning systems.